For your generous support of the Friends Programs!! 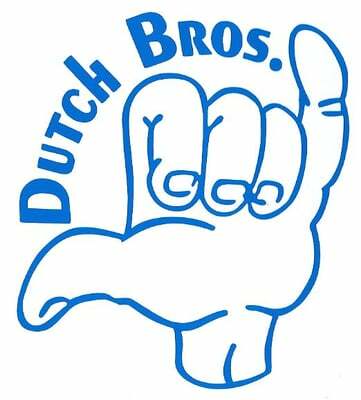 Thank You Dutch Bros Walla Walla!! Saturday, September 29th is Buck For A Kid Day! There are multiple events that we are planning for the summer for all the kids who are presently in our programs. Keep checking this space for news of additional events or call us at 509-527-4745! The next event is: Friends Night At The Sweets June 15. Volunteers please call for tickets for you and your friend! Friends is a local non-profit mentoring organization that helps children in the Walla Walla Valley engage in safe, youth-focused friendships with adults. Formed in 1999 to help prevent children from facing life’s challenges alone, Friends remains committed to creating positive change in the lives of families– one child at a time. Adverse Childhood Experiences (ACEs) has been declared the number one childhood trauma in the United States. The number one antidote to this is providing a child a caring adult relationship once a week for at least one year. Friends provides this by way of our ABC School Lunch Program and our Community Based Program. Our adult volunteers concentrate on the child, letting the friendship find its own impact and letting the child lead the way. Adult friends do not act as parents, teachers, disciplinarians, coaches, therapists or saviors. Instead, they act as friends, providing an encouraging, caring presence that the child can count on over time. Friends now has programs or pilots in ten schools in the Walla Walla and College Place School Districts. Over the life of the Friends organization, we have seen countless examples of the power of the friendships we’ve generated through our ABC, Community Based, After School, Cascading Mentor and Peer-to-Peer programs. Parent and school survey results have indicated significant behavioral improvements in their children, since being matched with a Friend. Our programs have involved over 2000 children from 4 to 18 since 1999 when Friends of Children came onto the scene! Parents and Schools indicated an improvement in their child’s academic performance and ability to avoid delinquency which can rob any child of a complete education. As a non-profit organization, Friends if funded primarily through the generosity of businesses, clubs, organizations, foundations, trusts and individuals. Friends is funded primary through the generosity of businesses, clubs, organizations, foundations, trusts and individuals. Your support is crucial. Please donate today.